change. The museum recently received an Environmental Literacy Grant for the climate change awareness project, called Teen Advocates for Community and Environmental Sustainability, or Teen ACEs. The grant is funded by the National Oceanic and Atmospheric Administration (NOAA) and promotes environmental education and finding solutions to environmental threats. After sorting through more than 170 applications, NOAA’s Office of Education chose the museum and three other sites to receive a combined $2.5 million in funding. The project involves NASA’s Science on a Sphere (SOS) technology, which projects data onto a globe so the teens can observe environmental trends and severe weather events. It will also promote environmental education through after-school programs. Funding the project was “pretty much a no brainer” because of how well the program fit the grant’s goals and requirements, said Sarah Schroedinger, the senior program manager for NOAA’s Office of Education. The program will span three years and involve working with at least 100 locations in Chicago, including public libraries, schools and the Museum of Science and Industry, said Bryan Wunar, the director of community initiatives for the museum. It will teach high school students about severe weather events, climate change and how communities can prepare for the potential local impacts of these changes, Schroedinger said. After-school programs will reach 12,000 children and programs with the Chicago Public Library and the Chicago Summer Learning Challenge will reach another 24,000 students, Wunar said. But the main focus involves 90 high school students at the museum where they learn about climate change and extreme weather events using NOAA’s Science on a Sphere (SOS) technology. SOS projects data onto a large globe so the students can visualize and understand it, Schroedinger said. 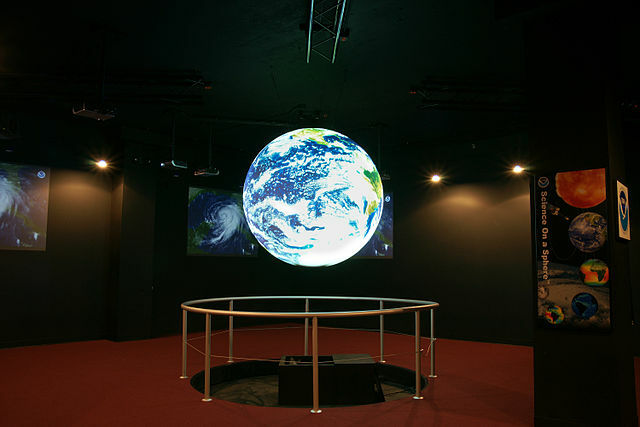 Students can walk around SOS and see different phenomena projected on the earth. The museum successfully used SOS in the past when actors from The Second City school of improvisation were recruited to teach visitors about science. Actors are often better communicators than scientists, Schroedinger said. Now teens will be using the same technology to learn about a “wide range of environmental and sustainability-related topics, with a focus on resiliency,” Wunar said. Resilience means preparing communities for climate change impacts and finding solutions to potential problems. The museum will use data from the Great Lakes region that is relevant to the students’ everyday experiences. If successful, the program will be shared with other science centers that also have SOS, such as the Boonshoft Museum in Ohio, Science Central in Indiana and Hawthorn Hollow in Wisconsin, Wunar said. From there, the program could potentially be extended across a wide range of SOS locations that have access to a teen audience. Another part of the program is letting the students share their knowledge with the public. The teens will teach guests how to reduce their impact on the environment and work on exhibits and do hands on activities in the museum. That core idea is using teens as both learners and facilitators of learning, Wunar said. Beyond having a voice in the museum, the students also will become environmental activists in the community, he said. “They’re going to be working directly with their local resilience planning offices and we’re hoping to see that there will then be strategies integrated into Chicago’s resilience planning that involves youth,” Schroedinger said. 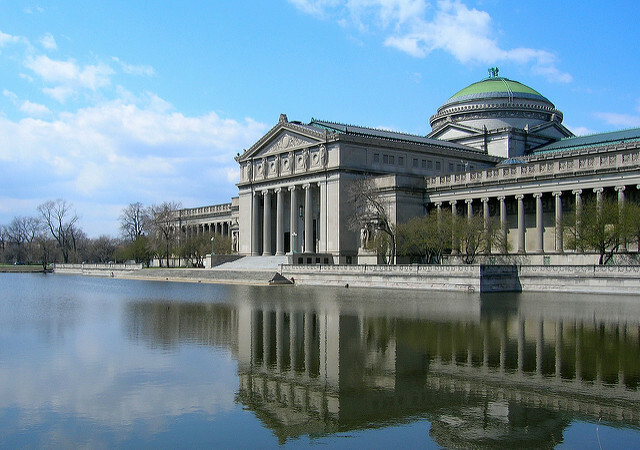 The museum is partnering with Resilient Chicago and the Chicago Metropolitan Agency for Planning, which help the city develop plans for combating climate change. The teens will come up with real-world solutions to environmental problems and make recommendations city policy-makers, Wunar said. It’s giving them the opportunity to play a role in working with the people in charge in Chicago. This is one of the main reasons the grant was funded. “The whole purpose for us funding the awards is to help people understand what the vulnerabilities are in their community, as well as the solution to addressing those vulnerabilities,” Schroedinger said. Climate change is a pressing issue for which cities need to be ready. “There are so many different ways that climate change is going to impact the day to day lives of people, that we’re going to have to figure out how to engineer our systems differently,” Koch said. Climate change is causing more intense rainfall, which can lead to overflowing sewage lines, flooding and bridge damage, she said.